Private backyard with picnic table and festive lighting. 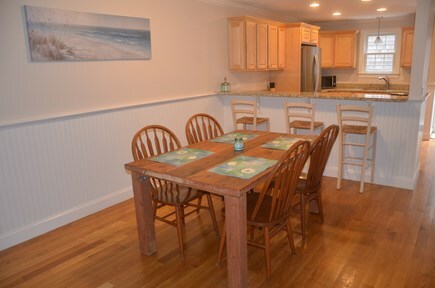 Located in Brackett Landing in North Eastham, this clean and bright duplex style condominium was built in 2007. 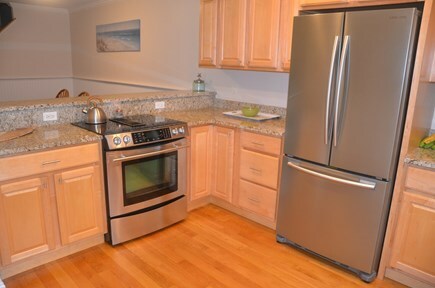 Kitchen has granite countertops and stainless steel appliances. All new furniture and bedding in 2016. 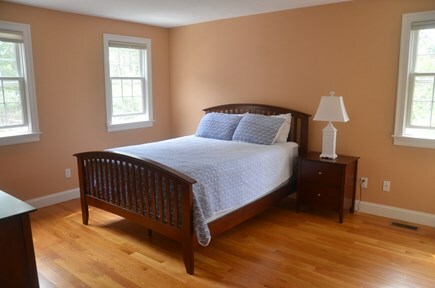 One bedroom on the first floor with a queen bed, hardwood floors and attached full bath. 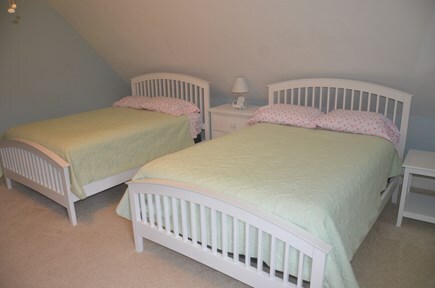 Two bedrooms on the second floor including a master with a king bed and the other with two full size beds. 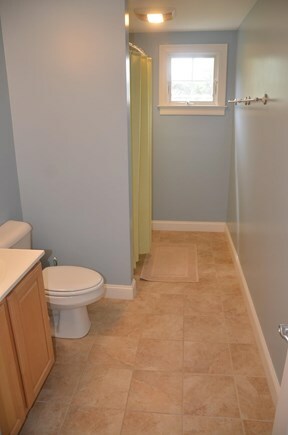 Full bath on second floor. Central air conditioning, smart TV, high speed internet, dishwasher, first floor washer/dryer, outdoor shower, Weber gas grill, picnic table, patio furniture and a garage for bikes. Gas fireplace for those cool nights or off-season rental. 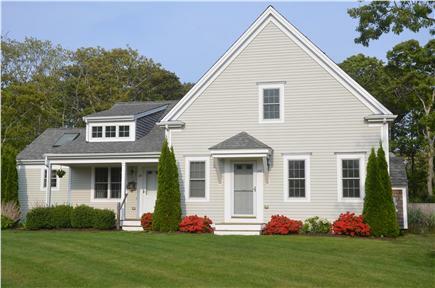 Convenient North Eastham location. Walk to Ben & Jerry's, Local Break, Sam's Deli, Stewart's Restaurant, Nauset Ice Cream, Idle Times Bike Ship and more. 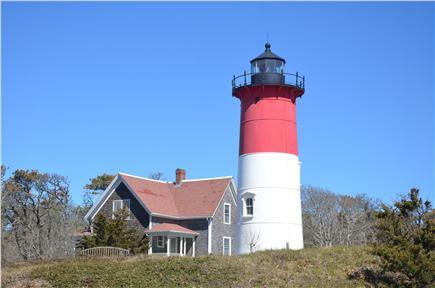 Bike to Coast Guard or Nauset Light Beach just two miles down the road. Wellfleet Drive-in two miles away. Located on a kid safe cul de sac that abuts the bike trail. Now accepting electronic payments using popmoney. 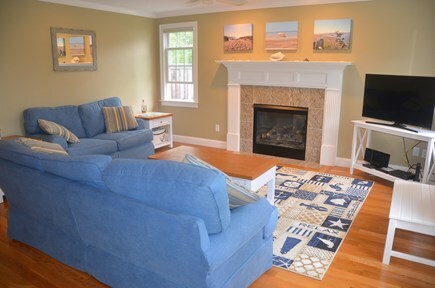 Additional pricing info: $200 discount for multiple week summer rental. $500 security deposit required. State and local taxes of 12.45% will apply. We enjoyed our stay in this wonderful home. Sometimes being on the Cape during the off-season is just what you need. We loved staying in this home and look forward to another off-season stay. The home is clean, comfortable, cozy, well furnished, has a well equipped kitchen. Communication with the homeowner was great. 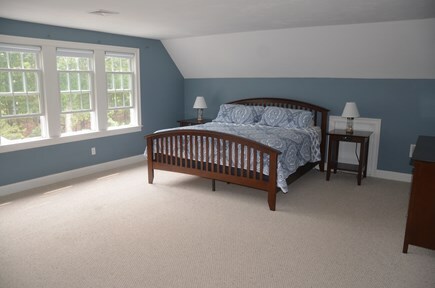 We are long-time Cape renters and have found the Eastham area to be ideal. Some of our favorite places to eat are nearby, and we always enjoy a day or two in P-Town which is a short drive. Great place to stay.... clean, modern, central AC, great location. This complex is great to stay in but staying in this house made it extra special. 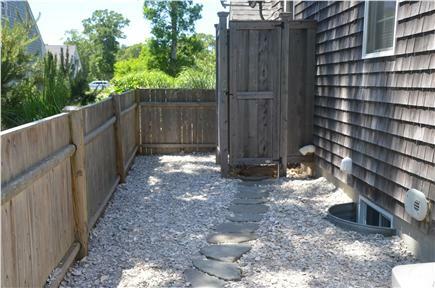 Easy access to bike trail, both bay and ocean beaches minutes away. Owners were very communicative and friendly. This was our fifth year in this condo complex. 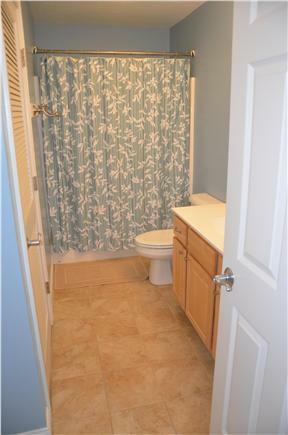 Our first in this property, as usually we only need a one bedroom unit. 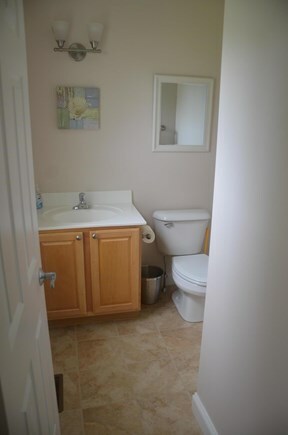 Very comfortable, clean and quiet. Great location. Can walk for groceries, restaurants, liquor and ice cream. Two miles to Nauset Light Beach. Bike path adjacent. Already booked again for next year! After renting all over the Cape for many years my husband and I recently purchased this property and we absolutely love it. We have rented from one end of the Cape to the other and chose Eastham because of all it has to offer. The house is only ten years old and still looks new and clean. It's condition and location is what we love most. You can walk to so many places including restaurants, ice cream shops, fish markets, package stores and the bike trail is right in the back yard! 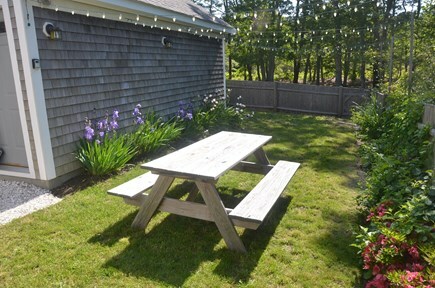 We love Local Break and Stewart's for dinner, Sam's Deli for lunch and Nauset Ice Cream or Ben & Jerry's for ice cream. So many choices! 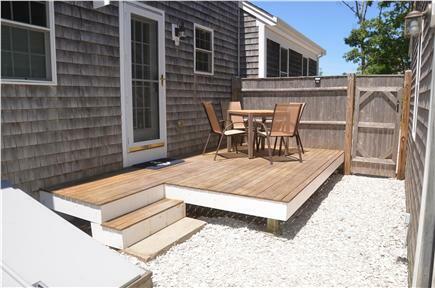 The reason we chose Eastham is it still feels a bit more like old Cape Cod. It has the National Seashore beaches on the ocean side if you like big waves and cold water and it has the town beaches on the bay side if you prefer warmer, calm water. Both are less than two miles away. Eastham also has many dining options close by and the bike trail running right through town.